Hey guys! Welcome to our Wizard’s Vyr’s Amazing Arcana Set Dungeon Guide. Here we will talk about what build to use, skills, items, notes, map and more! Fazula’s Improbable Chain and Zodiac are a MUST HAVE. Leoric’s Crown is probably more important than Swami in this set dungeon. CDR is very important, craft yellow rings and amulets if you want to. Where’s the Vyr’s Amazing Arcana Set Dungeon? ALLLL the way in the end, right before the boss, is the entrance! The Vyr’s Amazing Arcana Set Dungeon Map / Layout? The map consists of 3 main sections: Opening square, left chunk and right chunk. Completely clear the opening square. Clear the left chunk, then clear the middle cross. Finish up on the right chunk. USE TELEPORT TO MAXIMUM EFFECT!!!! Objective: Reach 100 stacks whole in Archon form 3 times. Fazula’s makes this objective much much easier. While 100 stacks on Archon isn’t bad, the map density isn’t too hot. I can’t stress how much Fazula helps in this regard. Objective: Kill 300 Enemies while in Archon form. This isn’t that big of a deal since that’s exactly what you want to be doing, anyway (killing dudes while Archon is up). This is where CDR and Zodiac come in. The higher Archon uptime, the easier and faster the dungeon overall become. Simply spam Arcane Torrent when not in Archon in hopes of pushing down the cooldown timer – and only activating Archon once you FIND guys. If using Chantodo, Archon downtime is also when you should be building up stacks. Mastery in Vyr’s Set Dungeon isn’t about the objectives. 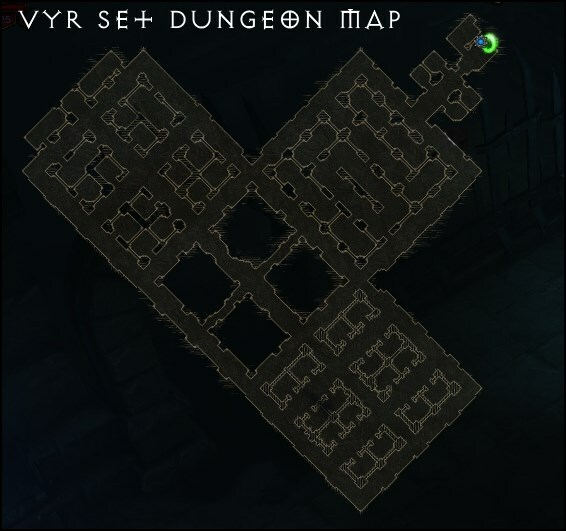 Why some people complain about mastery in this dungeon is the size of the map! SPAM THE BEJESUS OUT OF ARCHON TELEPORT. That’s gonna be your ticket to mastery, nothing else. Regarding power levels, most enemies should die in a single (max 2) “pulses” (one from Chantodo, one from yours). Any more and you’re too weak. Bane of the Trapped is an excellent boost in power as it triggers off Archon-Slow Time. Chantodo’s passive pulse, along with your own spamming of Archon’s “1” skill combine to make a pretty potent AoE wrecking ball. You only need to left-click elites, IMO. I know we still need to update the Wizard guides, but just for the heck of it, you can check the Wizard guides we have. Check our our D3 Guide Directory for anything else you might need! 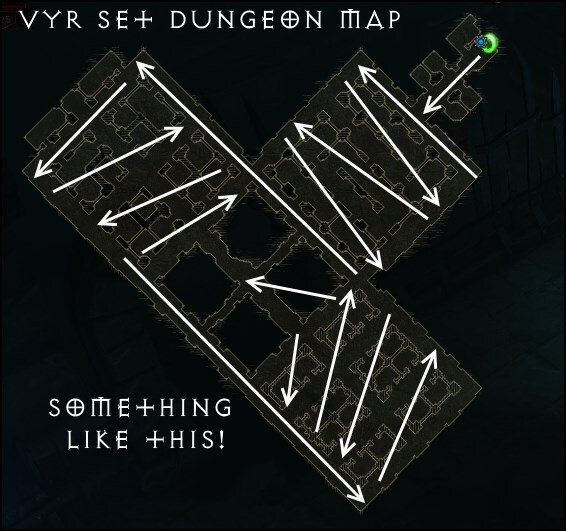 The Vyr’s Amazing Arcana Set Dungeon is one of the more “fair” ones, with a decent level of challenge! Like us on Facebook for more D3 updates! Want to show your support to TeamBRG? Check on Patreon to know more!